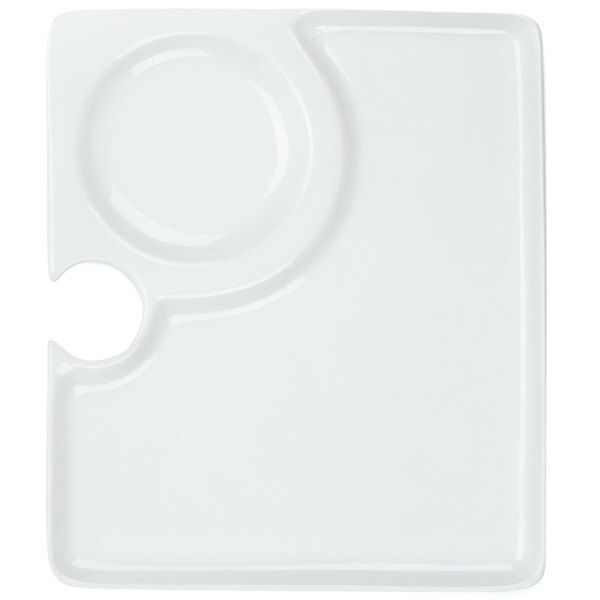 Your servers will be able to simultaneously serve hors d'oeuvres and delicious glasses of wine with ease using these CAC COL-P2 9" x 7 3/4" china party plate with stemware hole! 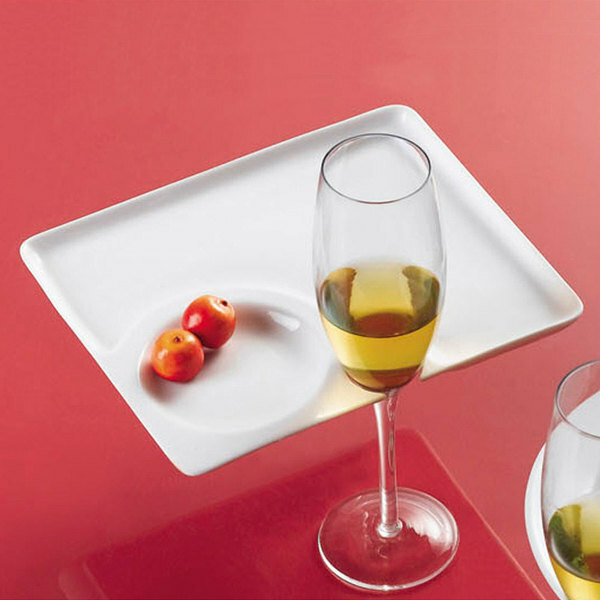 The stemware hole will allow a wine glass to rest gently but securely against the plate so that both food and drink can be carried safely with one hand. 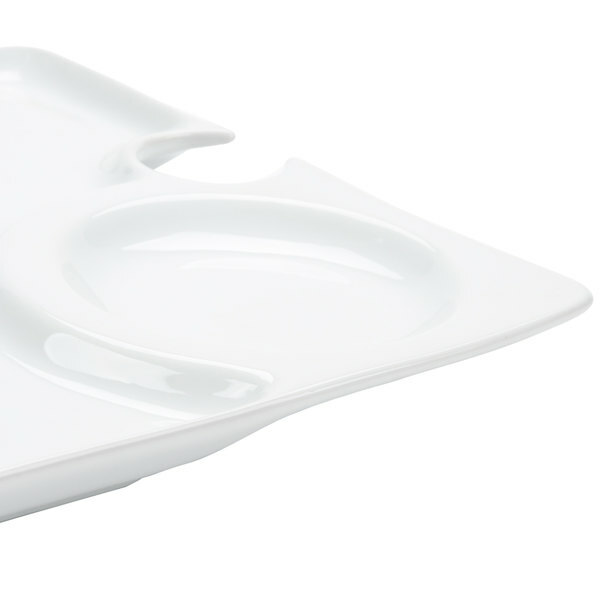 These bright white porcelain party plates also feature a round, separate compartment to prevent snacks like grapes from rolling, while the rectangular compartment can be used to hold cut fruits, vegetables, and even more eloquent snacks! 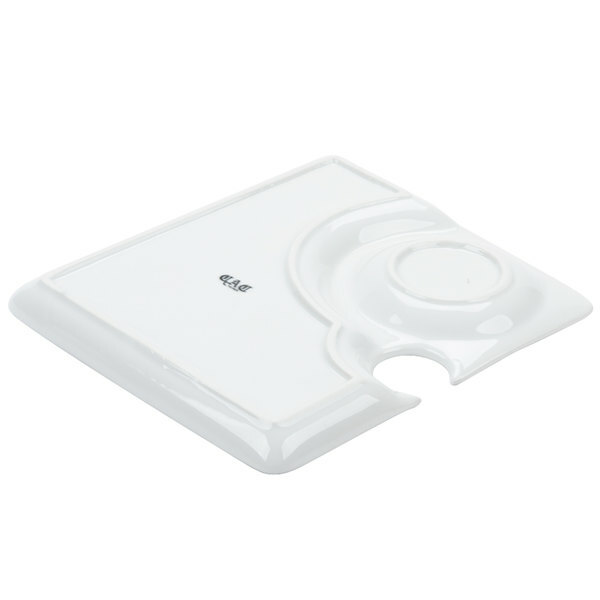 I purchased CAC COL -P3 Bright a White China Square Party Zplate with Stemware Hole. Item is heavier than I thought it would be. Quality piece! This product is exactly what I was searching for and more! 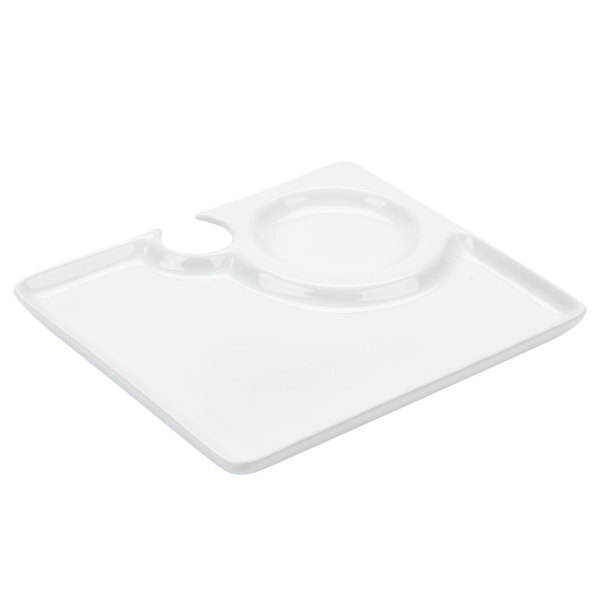 Is made of white shiny China not disposable and perfect for any dishes on a buffet setting. These are beautiful plates! 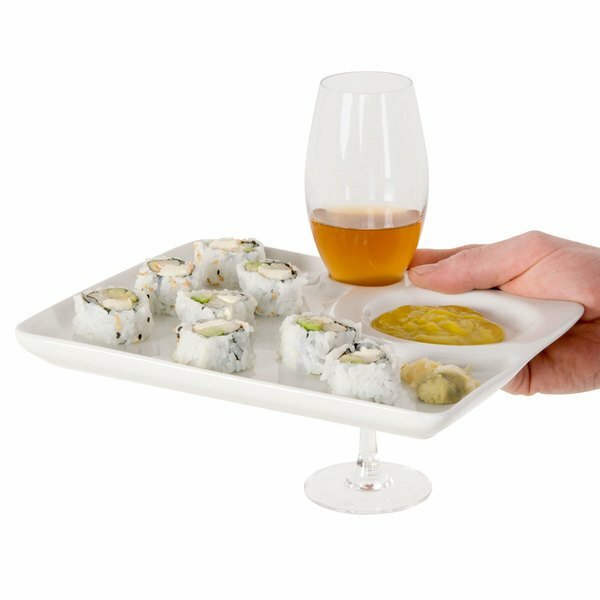 I love the uniqueness of them with the stemware hole in them! 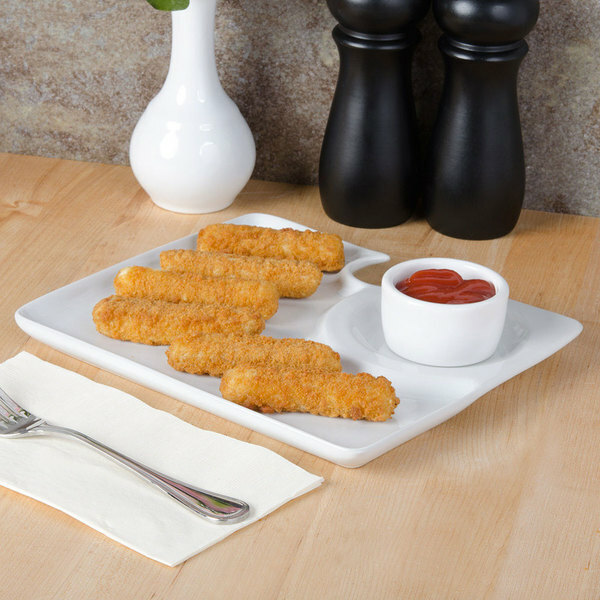 We dont just use them for glasses though, we have gotten pretty creative with these dishes.